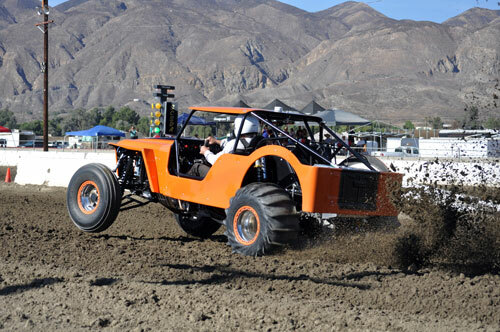 The 2018 SCSDA Hammer Down Nationals again put on a great show for the crowd at the Soboba Casino in San Jacinto, CA. Warm temperatures greeted all in attendance with high temps in the Low 90’s throughout the weekend, but everyone adapted to the heat and we saw some incredible on track action. 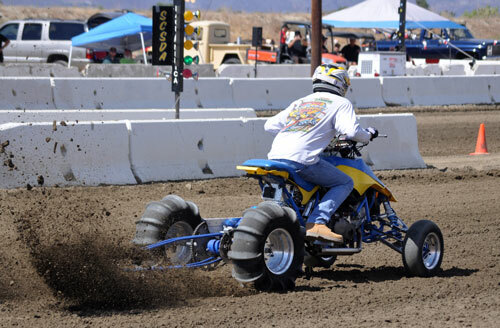 We want to give a big shout out to the SCSDA & Track Crew that again put on an exceptional event for the west coast racers. Read on to view the Race Recap story & Event Photo Gallery. 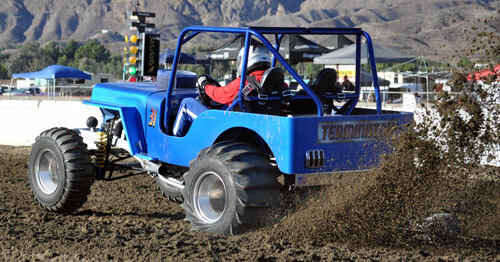 The Kings of the sport took to the Soboba Casino dirt to see how quick they could run in the 300’ over this warm weekend in Southern California. In qualifying, Marcus Norris threw down the quickest pass in Saturday evening’s session with a 2.30 at a HUGE 168MPH speed. 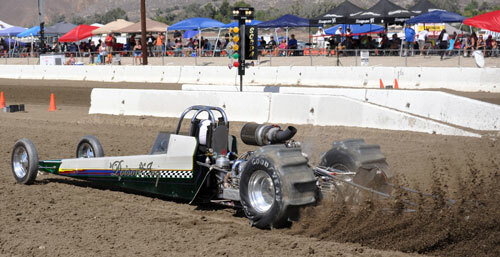 Dennis Rieck and the Hammer Down team put down a 2.39 at 151MPH lap for the Hammer Down Hemi. 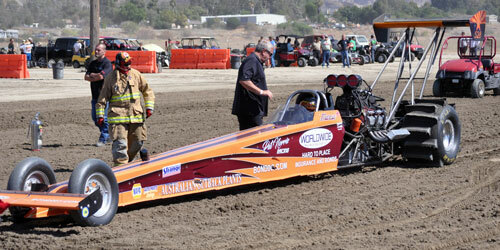 On Sunday at noon time in the heat of the day, Marcus Norris took the win with Low ET of the weekend 2.236 at 163.50 MPH. 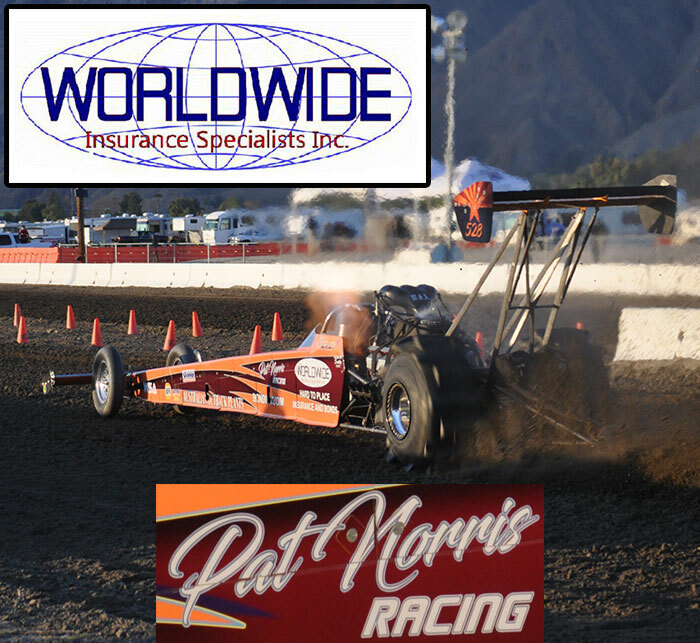 This was an extremely impressive pass for the Pat Norris Racing / Worldwide Insurance Services team in adverse conditions. 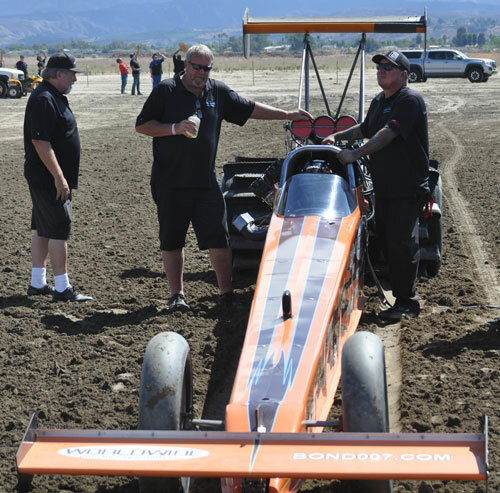 Congratulations to Marcus, Pat, Chris, Dan, Glen and the entire Norris crew that puts in a huge effort to make consistently fast laps every time out with their Nitromethane-burning Dragster. 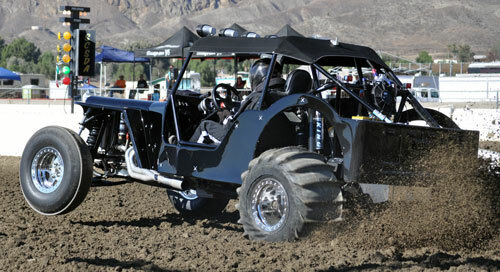 The Top Alcohol class featured a 4-car field going for the top spot at the Hammer Down Nationals. 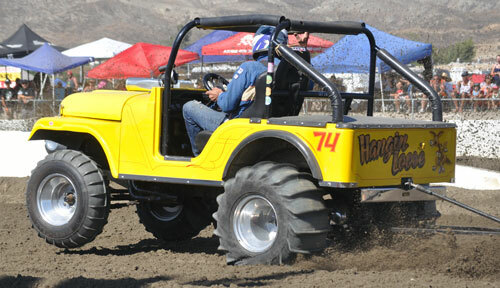 Jim Hammond came in to the event with a sizeable points lead after final round finishes at the first 3 California Sand Drag Challenge events of the season. 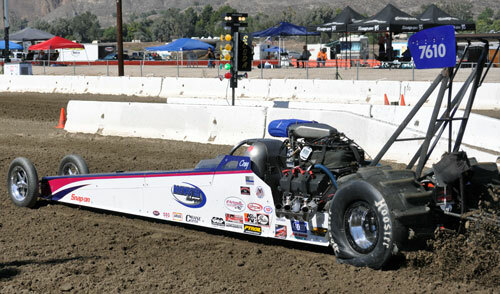 Qualifying was rough on Day 1, but activity picked up on Saturday with Gary Mink in his “Bad to the Bone” Dragster ripping a 2.47 off the trailer, then recording a 2.467 in Q4 to earn the #1 qualifying position. 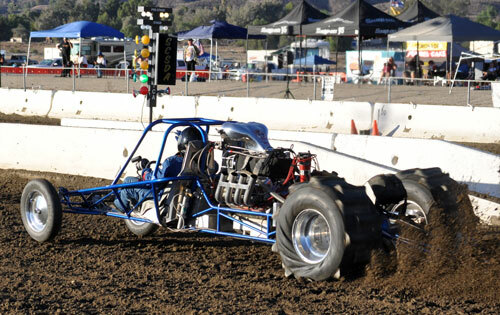 David Morton hopped into the Morton Racing Dragster on this weekend and ran a 2.56 for the second position followed up by Hammond’s 2.58 and Derek Balcunas’ 2.77 in the Larry Minor Motorsports Jeep. 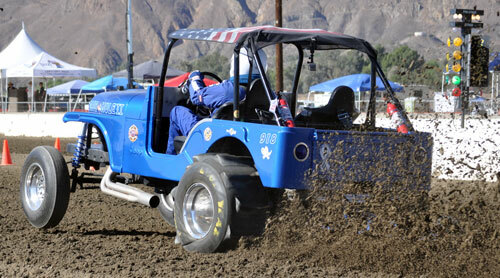 The first pair of the opening round was a bit of a letdown as Balcunas felt some issues pulling to the line & shut the Jeep off handing a single run to top qualifier Mink. Gary recorded a 2.58 on this pass to advance on. In the other pair, Hammond’s Hemi-powered Dragster came to life running his Best ET of the weekend with a 2.48 to get around Morton’s 2.56. This set up a big-time final round with Hammond and Mink squaring off for the title. Unfortunately, this race was over before the stage lights were lit as Mink felt major vibrations and shut off prior to staging to avoid further engine damage. 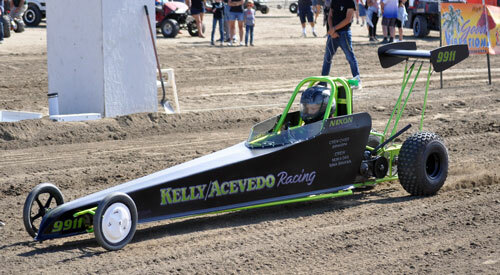 Jim Hammond staged up the “April’s Dream” Top Alcohol Dragster and recorded a 2.58 ET to take his second SCSDA Top Alcohol class win of the season and third total counting his Atoka, Oklahoma win in May. 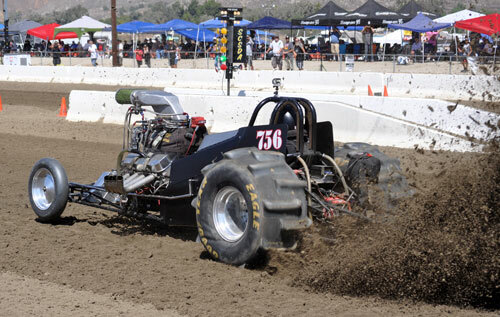 Jim also clinched the 2018 California Sand Drag Challenge series championship with his win. 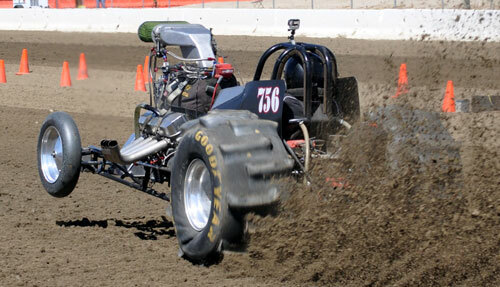 Congrats to Jim, Leticia, Brian and the whole team on their victory at the SCSDA Hammer Down Nationals. 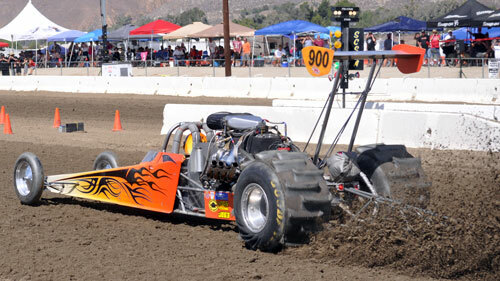 A tremendous full 16-car Top Eliminator field made the trip to compete at the Soboba Casino for SCSDA’s Season Finale. 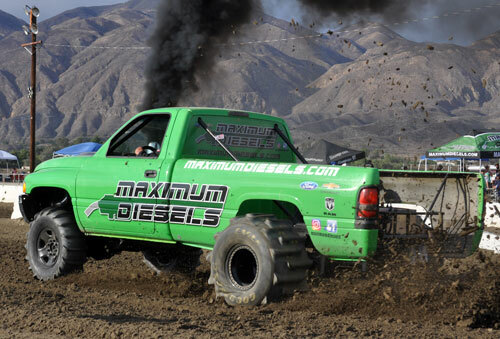 The TE contenders were ready to go at it in full force to run as close to the 2.95 Index as possible during Qualifying. 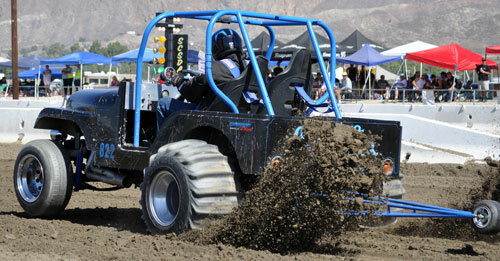 Paul Graham got things started off with a solid 2.961 ET with the “Excavator” Buggy in Q1 to set the early pace. However, business really picked up in Q2 as Missouri’s Russ Bailey was able to get his Blown Alcohol Altered slowed down from his 2.86 opening pass to record a 2.951 ET, just .001 away from a Perfect ET lap. 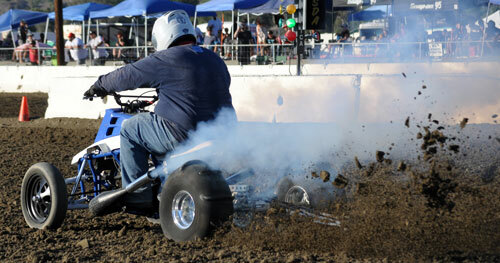 But leave it to Paul Taylor and his “Outta Control” Dragster to quickly do the improbable. Two passes later in Q2, on his first lap of the weekend Taylor put down a Perfect 2.950 ET to take the #1 qualifying spot for good. Taylor, Bailey, Graham, points leader Vickie Hall, Bill Peterson, Craig Brewster, Terry Crawford and Damon Hall (3.038) comprised the top half of the Qualifying Order in the 16-car field. As you can imagine, Round One was filled with incredible action. 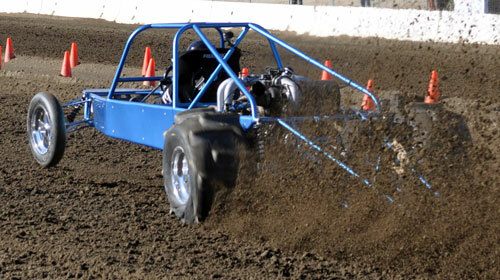 #1 Qualifier Taylor ran a 3.04 to cover a breaking out Jimmy Depasse, who ran a 2.91. 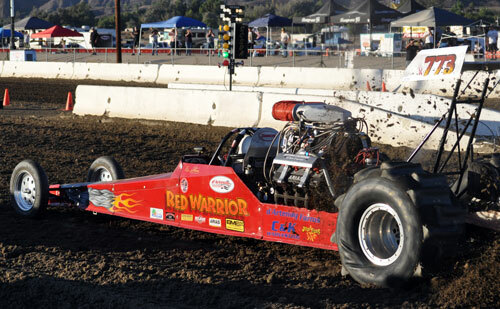 The Best Run of the round unfortunately ended up on the losing end of things as #2 qualifier Bailey scored a hole shot with a with a 3.02 over a Perfect ET 2.950 from Ron D’Artenay in the “Red Warrior” Dragster. 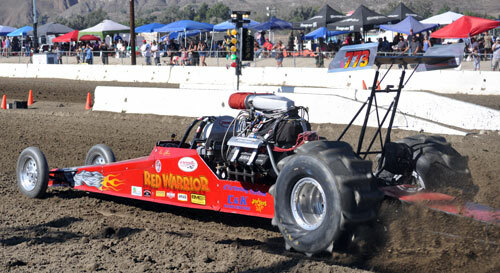 Another big RT win was by Glen Hickey with a .023 and 3.14 getting around Terry Crawford’s 3.06 lap. The closest run of the round saw a Margin of Victory totaling .008 where Paul Graham ran a 3.06 to get around Mark Punos’ 3.27 lap. Mark had a killer .010 RT to make that an extremely close drag race. 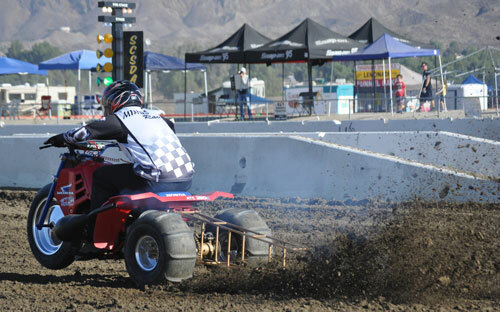 Top qualifier Taylor kicked off Round 2 with another round win with a nice 2.99 lap when Larry Snow turned on the red bulb with his “Lap Dance” Buggy. 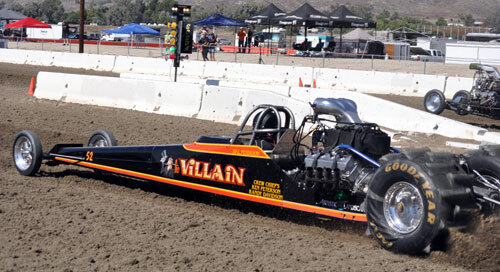 Next up was a huge pair between class points leader Vickie Hall and Bill Peterson in the “Villain” Dragster. 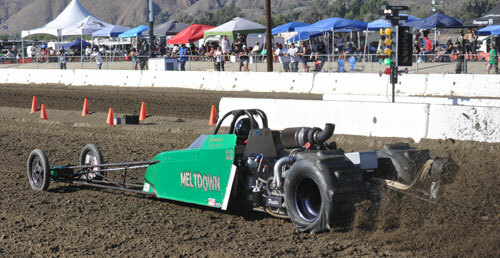 Peterson took a small starting line advantage and held it through the finish line for a 2.98 to 3.00 victory. Bailey was up next on a single run as Glen Hickey was unable to make the round two call. Russ laid down a solid 3.04 to advance on. 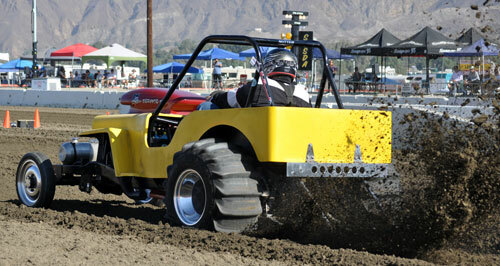 Finishing up the round would be a great matchup between Graham’s “Excavator” Buggy against Craig Brewster in the Brewster Motorsports Dragster. 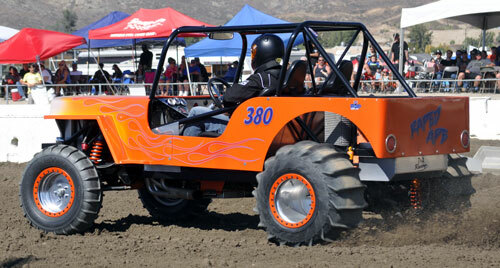 Both teams receive tuning assistance from Joe Bettencourt of JB Motorsports, so this was going to be a great battle. 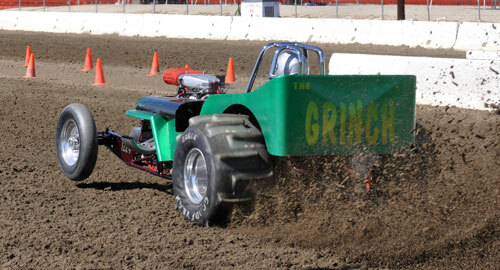 This race was decided on the starting line as Graham took a big advantage and held on for a 3.05 to 2.97 hole shot win. Paul Taylor came into this event third in points and began closing the gap to Vickie Hall with a semi-final win over Peterson. 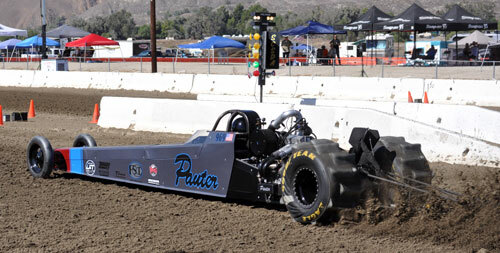 Taylor cut his best light of the event with a .101 bulb and ran a 3.03 to defeat Peterson’s 3.00 lap. 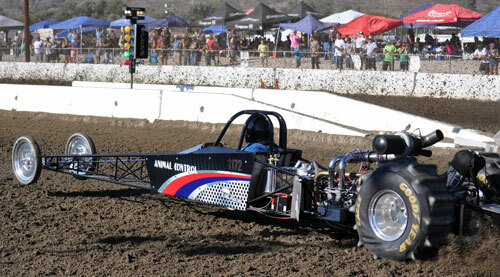 Next up was Missouri’s Bailey putting down a .070 RT and 2.968 to get around Graham’s 3.04. 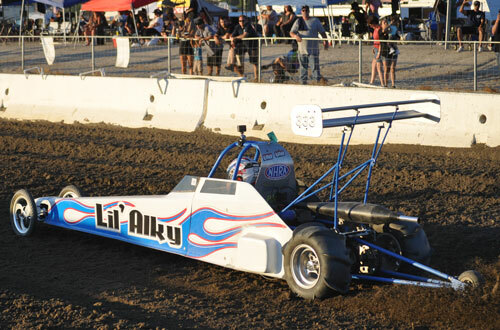 This set up a traditional long car versus short car final round between the Dragster of Taylor and Altered of Bailey. 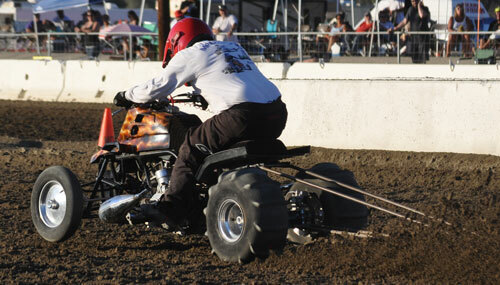 Taylor was hyped up a little too much for the final as he left early turning on the red light giving the win to Bailey. 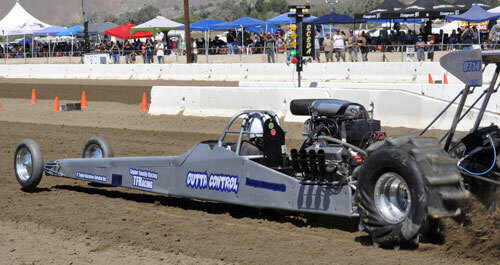 Russ recorded a 2.90 ET for the victory in his Supercharged Chevy-powered Altered. Taylor’s Runner-Up moves him to within 17-points of Hall in the CSDC series, giving him a mathematical shot at the Avenal Season Finale. 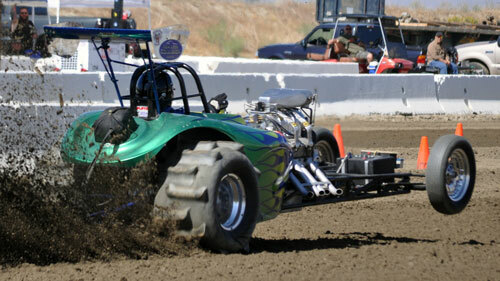 Congrats to Russ & Tricia on making their long haul pay off in a big win at the SCSDA Hammer Down Nationals. The Fast Fours class has quickly become one of the most competitive classes in SCSDA competition over the past couple of seasons. 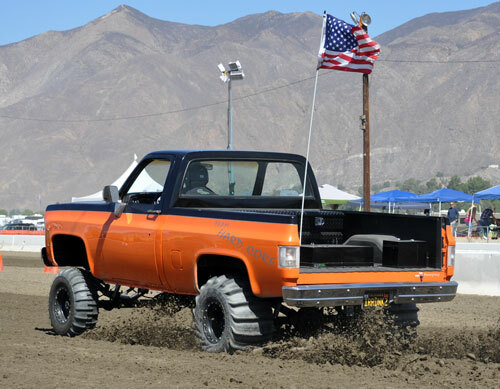 This race was no exception as a full 8-car field made the trip to Southern California, including the cross-country travelers of Roe Racing bringing in two entries to compete from the great state of Michigan. 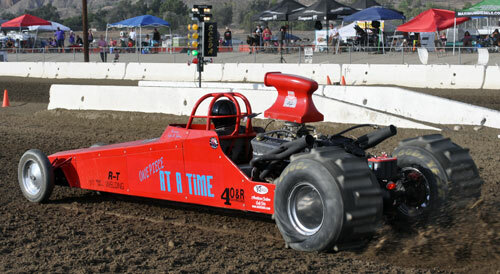 Qualifying was the Adam Roe show as he earned the top spot by matching the Fast Fours World Record with a 2.664 ET. Equally impressive was that Roe’s four qualifying laps were incredibly consistent between 2.664 and 2.709. 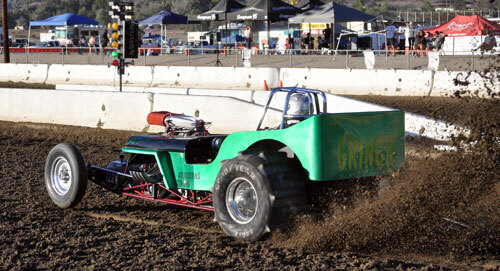 Points leader Robert Skidmore ended up #2 in qualifying with a nice 2.75 lap. 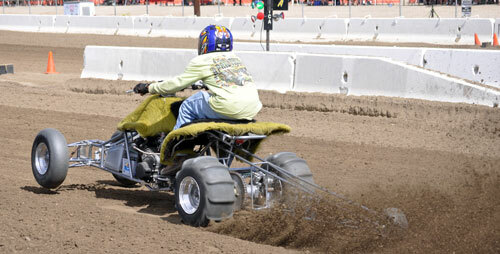 March SCSDA event winner Mario Tavares qualified 3rd with a 2.79 followed by Daniel King with a 2.82 lap. Unfortunately for King, in the final qualifying session he lost control at the end of the run and rolled the Animal Control Dragster. 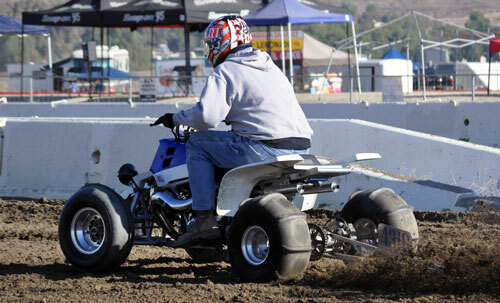 Thankfully Daniel walked away uninjured from this scary looking incident. 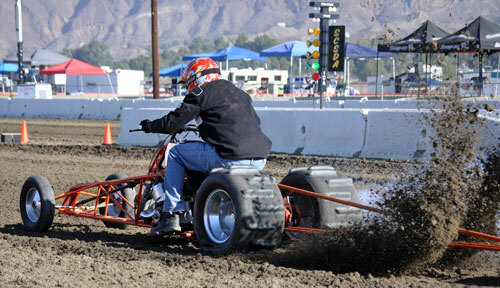 The first round of eliminations started with top qualifier Roe breaking the World Record for the first time on Sunday with a 2.659 lap, eclipsing his 2.664 set at the February SCSDA event this year. 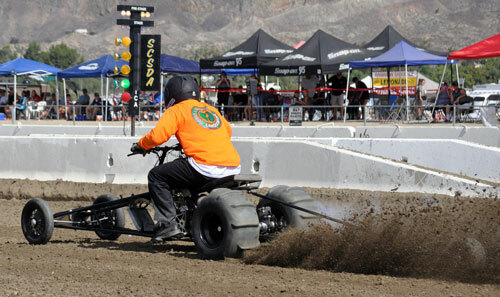 This run was enough for Adam to advance to round two over the Crazy Coconut Dragster of Kaaina. Up next Art Cronin received a single run with King unable to make the Round One call. Art put down a 2.94 ET to move on. 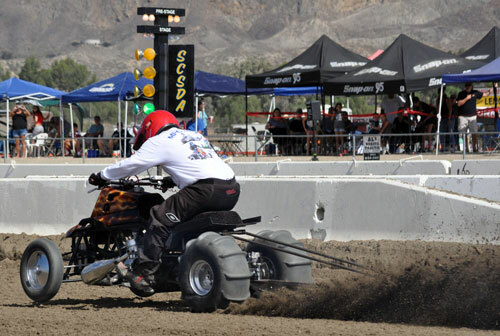 Skidmore stepped up his game in the next pair as he threw down a 2.73/117MPH to get the win over Sally Rasmussen. 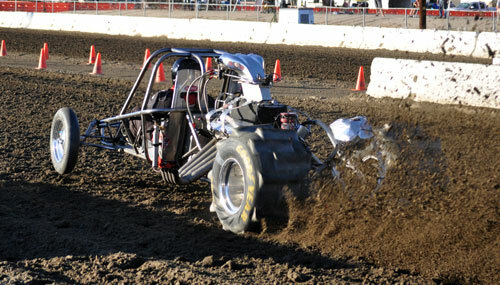 Finishing off the round would see the Pauter entry of Mario Tavares up against the Roe Racing Buggy piloted by Darrel Roe. Darrel put down his best lap of the weekend to this point with a 2.89 for the win as Mario had to shut off early. Mid afternoon on Sunday the conditions were just right for the Fast Fours cars as they rolled into the beams for a record setting round. 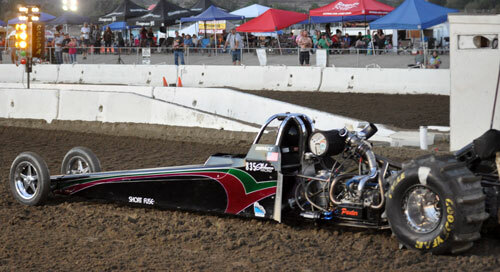 Adam Roe made everyone’s jaws drop with an incredible 2.637 ET at 122.85MPH to set a new Fast Fours World ET Record. Adam’s incredible lap was enough to turn on the win light alongside Art Cronin, who matched his Personal Best with an excellent 2.79 ET in the Meltdown Dragster. 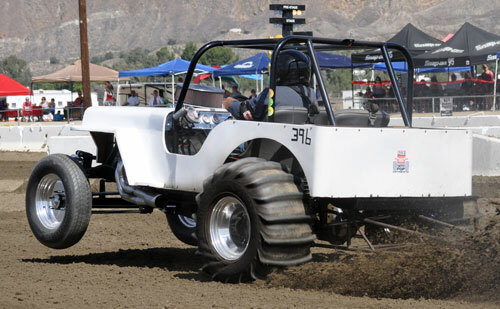 Not to be outdone by the first pair, Robert Skidmore advanced to the final round with a solid 2.72/113MPH run shutting down a potential father-son final, but Darrel Roe was still extremely excited as he recorded a 2.859 ET to lower his A/Buggy World Record. What a tremendous round of Fast Fours action this was. 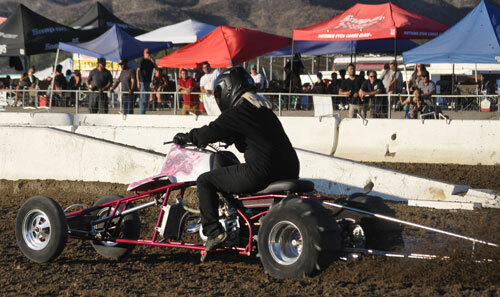 Anticipation was high as the Pauter-powered entries of Roe and Skidmore pulled their Dragsters into the beams for the final round on Sunday afternoon. 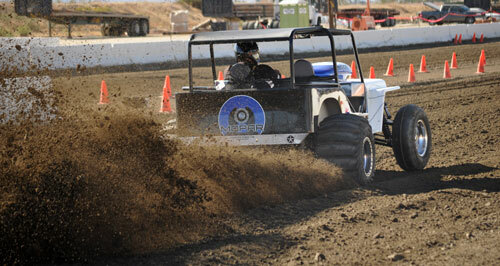 This was a rematch of the February final, where Skidmore turned on the win light after Roe broke down track. The outcome would be different this time as Roe got the job done with an outstanding 2.66/118MPH lap to get around Skidmore’s strong run 2.74/116MPH. Congratulations to the Adam, Darrel, Scott and the entire Roe Racing team on an unbelievable performance at the SCSDA Hammer Down Nationals taking home #1 qualifier, event win and two world records. 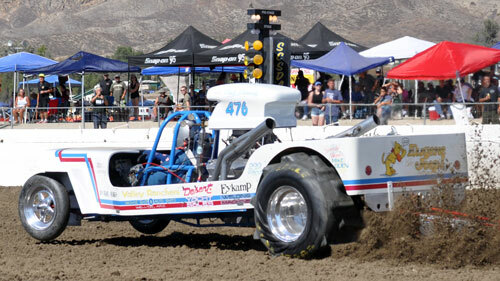 The Pro Mod wars put on a great show at this year’s SCSDA Hammer Down Nationals. 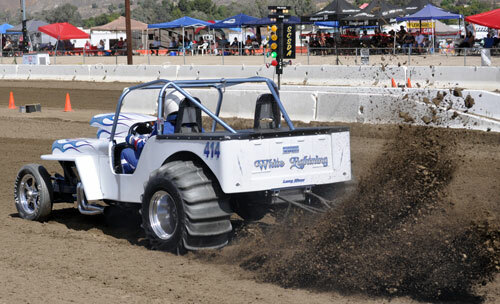 Derek Balcunas led the way in qualifying putting down a 2.75 in the Larry Minor Motorsports Jeep. Right behind him was Jimmy Depasse in the Otis Express Jeep with a 2.83 while Dave Huffman (3.03) and Nick Shultzman (3.19) rounded out the field. 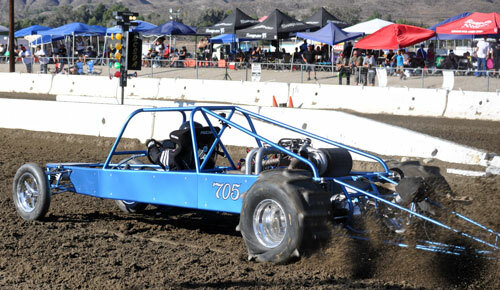 Kicking off eliminations was top qualifier Balcunas versus Shultzman in his first race back in several years with his Vegas-based Blown SBC-powered Altered. 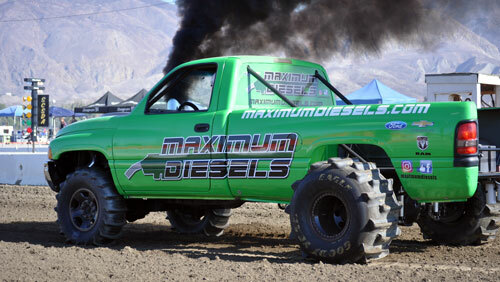 Nick put up a tough effort, but the Larry Minor Hemi-power was too much with a tremendous 2.75/124MPH run to advance. Next up would be the teammate battle as Depasse and Huffman squared off. Depasse proved to be too much in this run as he turned a 2.84 for the win while Huffman put up a strong Personal Best ET of 2.98 in the other lane for his first ever 2-second pass. When the final round rolled around Sunday afternoon, everyone knew both teams would be loaded up for bear as the Minor and Depasse teams always throw everything at it when they line up in a final round. 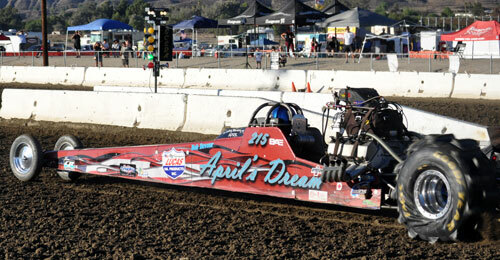 Depasse left first, but it would be all Balcunas as he scored the win with Low ET of the weekend 2.671 at 123MPH. Congrats to Derek, Larry, Bob and the whole Larry Minor Motorsports Team on their win at this year’s SCSDA Season Finale. 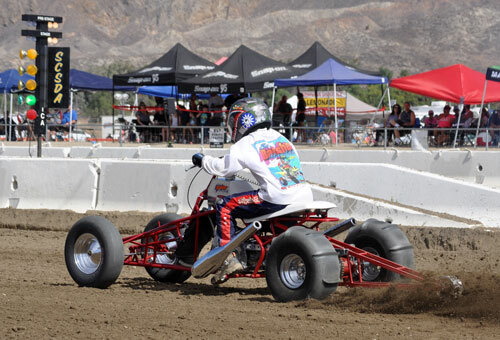 The Pro 1 class was all Tommy Zavala’s on this day at the Soboba Casino. 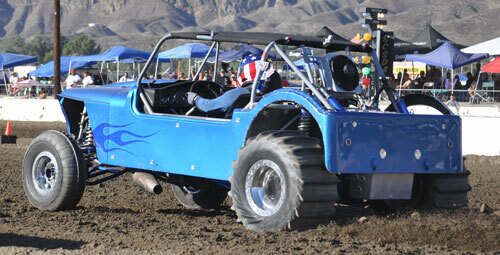 Tommy and his BBC-powered Dragster took the final round win over Travis Scouten’s Last Call Jeep. Zavala’s win coupled with his closest challenger’s first round exits gives him a comfortable lead heading into the final CSDC race of the season. In the Pro 2 Final, Scott Hensley used a .042 RT and 4.158 (4.08) in his “One Piece at a Time” Dragster to earn the victory over Chris Wells. Hensley’s win keeps him within striking distance of points leader Zavala, as Tommy tries to earn double up championships this season. 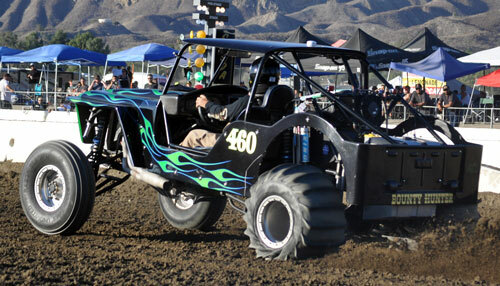 Chris Adamson and his “Bounty Hunter” Jeep strung together an impressive series of runs to take the Pro 3 victory at the Hammer Down Nationals. Chris ran a 4.365 (4.28) with a .050 RT to take the final round victory over Jim Larr. With this win, Adamson has clinched the 2018 CSDC Pro 3 class championship. The Motorcycle Pro 1 final round saw a titanic battle between points leaders Brad Olson and Taylor Marchant. Olson kept up his perfect season as he turned on the win light with a .016 RT and 4.286 (4.10) for a Margin of Victory totaling .031. 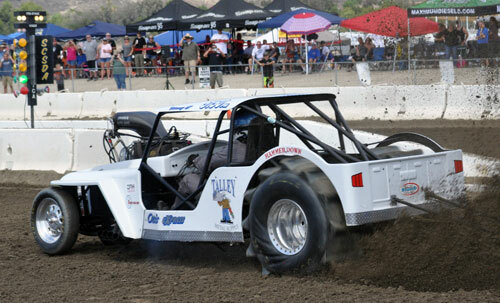 Both Olson and Marchant have been in the final at all three races they have entered this season, the only difference being the two runner-ups for Marchant put him 10 points back going into the Season Finale at Avenal. 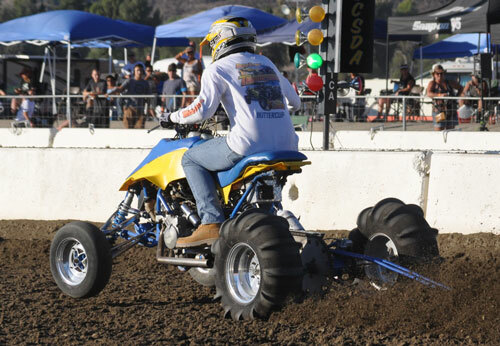 The story in the Motorcycle Pro 2 final round was that the youth won out over experience on this day as Tessa Nunes and Tyler Hanrahan outlasted the competition on this day. 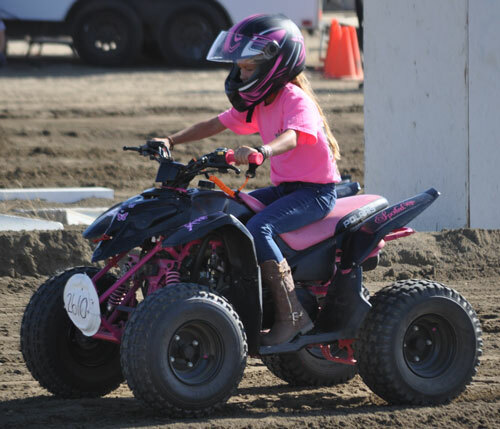 Tessa has had an incredible 2018 season on her “Lil Bit Wicked” Ride with several huge wins but would come up short with a red light as Hanrahan scored the biggest win of his young racing career recording a 4.859 (4.79). Caleb Mings holds a 2-round advantage over Marcus Riedel with one race remaining in the series. The Friday Pro Gambler kicked off the weekend’s racing action with Kenny Hayes earning the first hardware taking the final round victory over Shawn Thompson with a .053 RT & 3.544 (3.53). 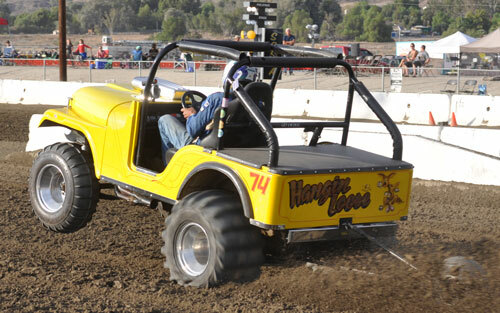 Thompson was hot on Friday in his “Terminator” Jeep as he also reached the 3.95 Index final to square off with Wes Johnson. 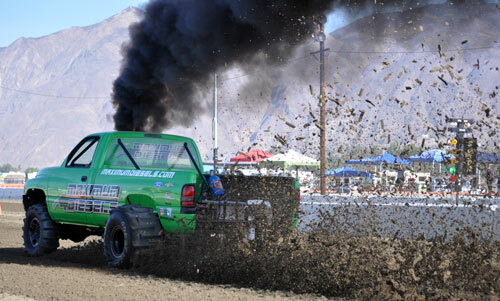 Wes would not be denied on this day as he earned his second 3.95 class victory of the season with a .039 and 3.983 while essentially clinching the CSDC class championship on this pass. 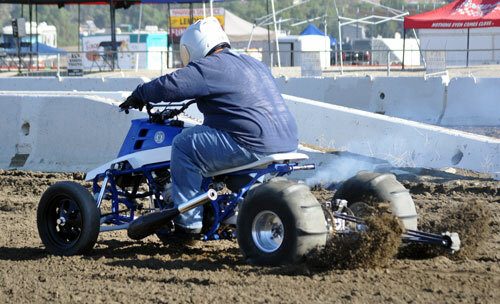 Saturday’s Pro Gambler saw the best of the best battling it out for the big bucks. Charlie Johnson tends to rise to the occasion in these big money payout classes, and this day would be no different as he turned on the final win light over Chris Adamson by a Margin of just .003 at the stripe in a tremendous battle. 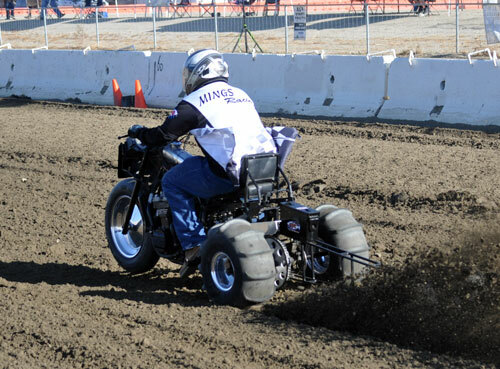 The Saturday Motorcycle Gambler category featured a final between Caleb Mings and Robert Garnas. Garnas would roll the beams while staging handing the trophy over Mings. Washington’s Chris Wells was on his game during Sportsman 1 competition en route to the final round win over Kenny Hayes. Chris was .027 on the tree and ran 3.565 (3.50) for not only the victory, but also to clinch the CSDC Sportsman 1 class championship. 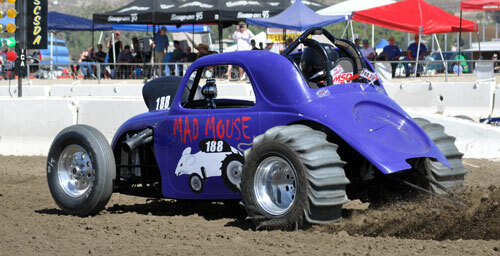 Ron Hess put his “Mad Mouse” Fiat in the Sportsman 2 Winners Circle defeating Jack Weddle in the final round. 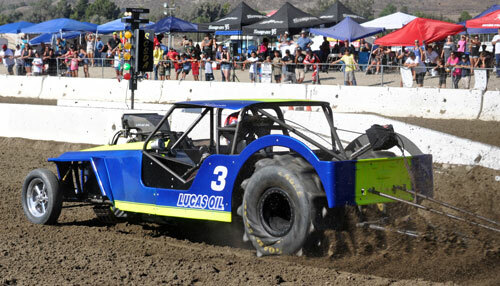 The Sportsman 2 championship will be decided in Avenal with 5 racers having a shot at the title led by Luz Malan. 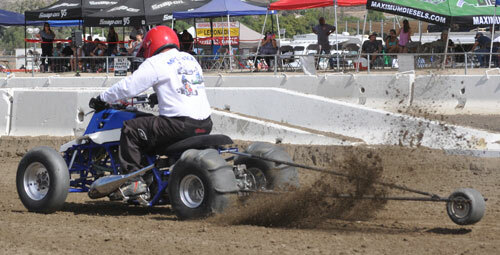 Robert Garnas used a strong .059 RT to turn on the win light in the Motorcycle Sportsman 1 final over Caleb Mings. 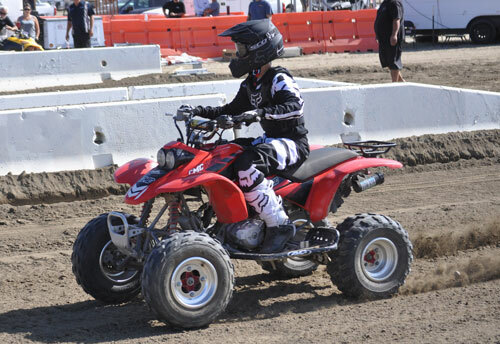 Caleb’s Runner-Up finish gives him some room in the championship battle as he leads Joey Weaver and Mark Ratliff heading into Avenal. 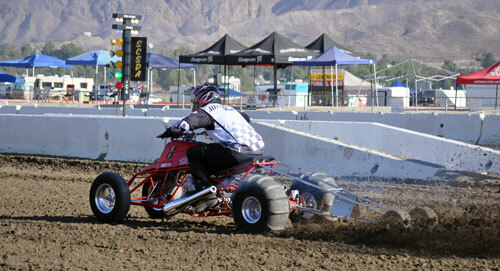 The Motorcycle Sportsman 2 victory went to Cameron Lunsford using a .059 RT and 7.121 (7.00) to defeat Marcus Riedel. Riedel is just one round behind Mark Ratliff as they enter the CSDC Season Finale. 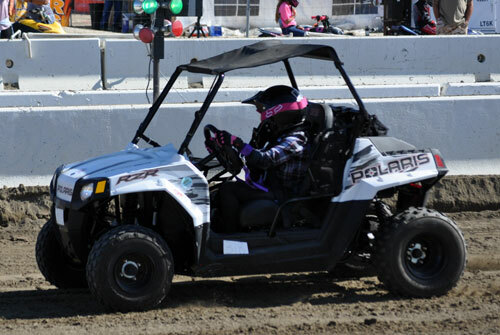 The Junior Racers always put on a great show for the crowd on Sunday morning as the next generation hits the track. 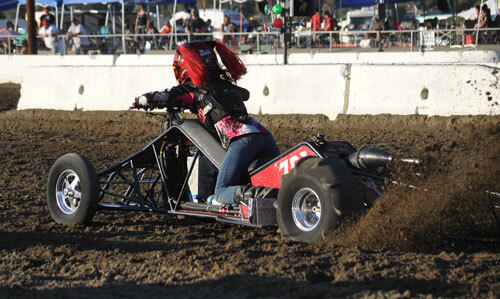 In the Junior Dragster class, Alex Sadler piloted her RZR to the victory over Blaine Denunzio. 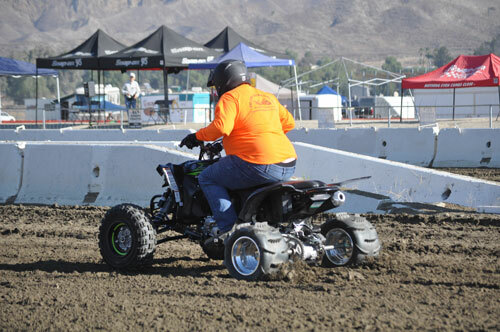 Maximum Diesels team racer Phoenix Hicks piloted his ATV to the Juniors class win over Shelby Tantardini. 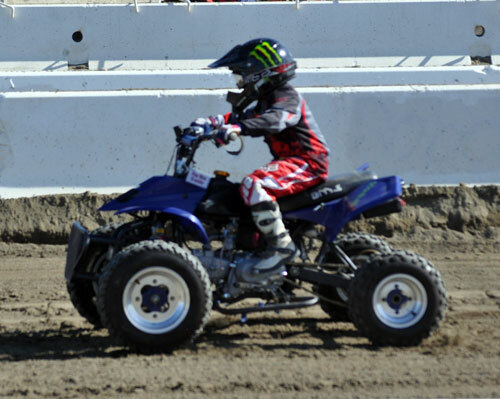 Rounding out the kid’s classes was the Youth final round where Cam Tantardini scored the victory over Cooper Depasse.